Merton Home Tutoring Service is an independent charity (registered number 1139126). We rely totally on grants from charitable foundations and similar bodies, and on donations, to pay our costs. We have been very fortunate to have received support from the Children’s Centres in Merton who, over the years, have provided us with rooms to hold our classes and some crèche facilities, and have given us administrative support. We are also grateful to The Wimbledon Guild who provide us with office space and a home for our library. Recently some of the Children’s Centres have been unable to continue with this support. However, we have been very pleased to be able to hold our classes in other venues, such as St Mark’s Family Centre and St Mark’s Church in Mitcham. We have also been successful in raising funds to provide crèche facilities to allow learners with young children to attend, and enjoy, our classes. We are very grateful to the many funders who have helped us since we started in 2009. 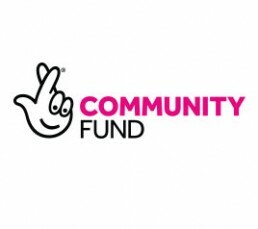 In 2015 we received a Big Lottery grant, which covered almost all our costs until May 2018. 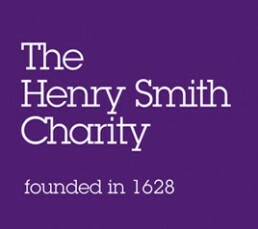 Since then, we have been awarded funding from the Henry Smith Charity for up to 50% of our costs on a sliding scale until June 2021, as well grants from the Big Lottery – Awards for All and Santander Bank, Wimbledon for the coming year, to all of whom we are extremely grateful. The trustees continue to make applications to charitable foundations and grant-makers and our volunteers continue to organise varied fundraising events to help us. 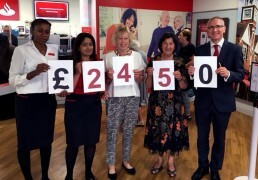 This year, Tim Gray ran the London marathon for us, raising £2,677 on our behalf. The Annual Report and Accounts for each of the last three years can be downloaded below. Please take time to read through them to see more of the work that we do. We are immensely proud of our learners and of what they have achieved, and we feel proud to have been able to help and support them on their journeys. Currently, the cost in providing the home tutoring service and the Stepping Stones classes is almost £70,000 each year. This figure does not include the monetary value of the time that our tutors, teachers and other volunteers give us- at least 6,000 hours per year.